Of course its not just about looking good either, many athletes (particularly cyclists) prefer waxing over shaving, especially before competing*. *Noosa is famous for the Noosa Triathlon Multi Sports Festival and other Triathlons, Runs, Cycling & Marathons. 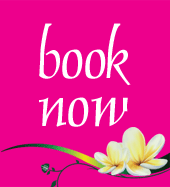 As you can imagine we can get very busy at this period for the likes of waxing, so please, if you are visiting us for the likes of the Noosa Marathon ensure that you & your team book in with us as soon as you have dates to ensure that we can accomodate your needs.